All information included in the website (texts, pictures, illustrations, icons, animations, databases, etc.) is the exclusive property of Embaly, or it is subject to an authorization for a specific use for Embaly. Information about our services offered and the inherent features of these services correspond to a definition at the time of the online publishing or updates of the website pages; it is given for information purposes only and may not be regarded as contractually binding. Embaly reserves the right to make modifications to the information contained on the web site, without being bound to update this document. If, despite the care devoted to producing this website, you think that it contains a mistake, don't hesitate to contact us. 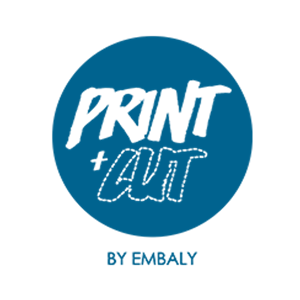 By entering the Embaly website, you accept to conform to the French legal code of intellectual property and more generally with the international treaties and agreements containing provisions relating to the protection of copyright. You shall thus refrain from: downloading, reproducing totally or in part, selling, distributing, issuing, publishing and communicating in any form whatsoever the data or the works protected by copyright which are featured on the Embaly website without obtaining the prior and specific written authorization of the holder of the copyright attached to the reproduced work or data. In the framework of some of our sections you may be requested to provide us voluntarily with information of a personal nature such as your name, address and e-mail address. This information is necessary to enable us to reply to your comments or requests for information. Please note that it is not our intention to send you e-mails spontaneously, i.e. other than in reply to a request sent in to us.